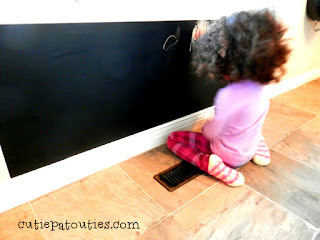 The Handmade Corner: Apply Blackboard Vinyl Anywhere You Like! My little grand daughter spends a lot of time at our house and she loves to be with me in the kitchen. In order to keep her busy while I prepare meals, I added this awesome, vinyl blackboard to my wall. 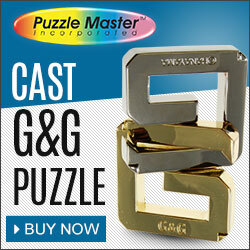 It’s perfect and so easy to install!! We wet a micro fiber rag and it wipes everything clean. 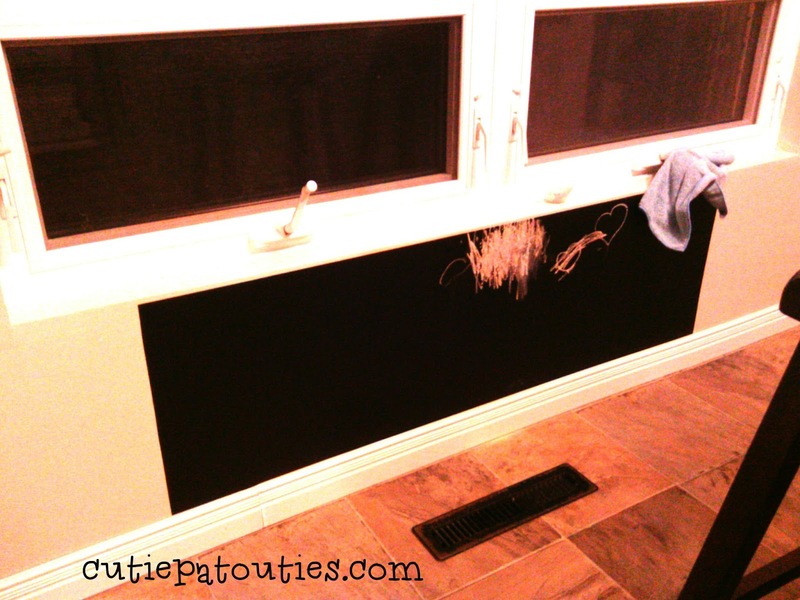 The vinyl black board comes in a roll just like wall paper and it applies to the wall the same way you would apply Mactac. Make sure to clean the surface of the wall with soapy water (to ensure the vinyl will adhere properly). The trick to applying this properly, is to peel off a small area and applying it little by little while gently peeling off the paper underneath the vinyl. As you progress, keep smoothing the vinyl with sticky backing to the wall, once it’s smoothed, continue peeling another small section repeating the same steps (some find it easier to be two people).